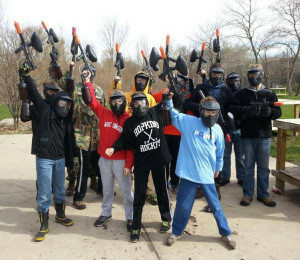 Looking for a paintball discount? Want to save some money? 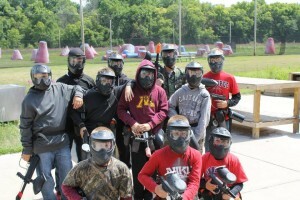 Save when you select our prepay option and pay ahead of time for your paintball event! 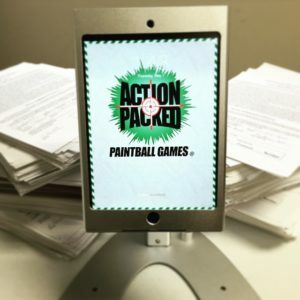 Once your online paintball reservation has completed, you will receive an email confirmation. A link to our online waiver system is in the details section. All waivers signed through this link will automatically be grouped under your reservation name. Forward or copy the waiver link to other players or parents in the party to make the check in process fast and easy. Note: All players must fill out safety waivers in advance. Players under 18 years old must have a parent or guardian sign safety waiver in order to play. We recommend wear a few layers of clothing to cover skin. Any long sleeve (t-shirt or sweatshirt) and long pants (jeans or sweatpants) are optimal for outdoor play. Players might want to wear dark clothing to hide better. Also, be sure to wear sturdy footwear to run around the playing fields. We provide a full face protective mask for each player. Note: Our paintballs are water soluble and will wash out of clothing. However, you might want to bring clothes to change into afterwards. We have picnic tables available at our park for any group to use. Feel free to bring food and non alcoholic beverages for your event! Guests often order or bring pizza, cake, snacks and drinks. Concessions are also available at the check in area. Spectators will find that our tables have a great view of multiple playing fields. This is perfect for those who would rather watch the action or take photos from the sidelines. 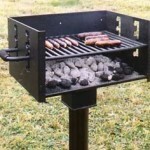 If you’re making a day of it, feel free to use our complimentary charcoal BBQ grills. There is no charge. Whether it’s burgers, hotdogs, or even a steak, our grills are a great way to enjoy a day of paintball with your friends and family. Just don’t forget to bring your own charcoal and cooking supplies. 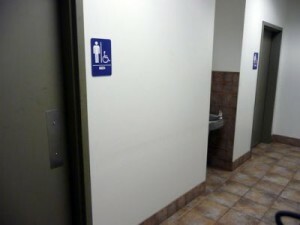 Restrooms aren’t commonly mentioned at paintball parks because most places don’t have them! 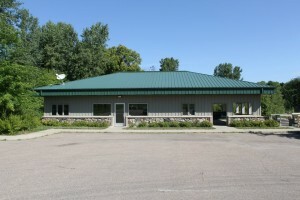 Our facility is one of the only outdoor paintball fields in Minnesota to offer separate indoor restrooms. Another amenity you might not think about is paved parking. 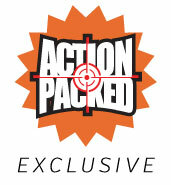 Action Packed is the only outdoor paintball field in MN that doesn’t have a gravel or dirt parking area. 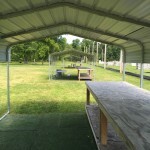 Our facility features a fully paved and lit parking lot, conveniently located right next to party pavilions and picnic areas. For additional protection we recommend bringing sunscreen and bugspray! Oh and bring your friends and family! It’s more fun to play against more people! Otherwise we have everything you need! If you have any questions please feel free to give us a call!